This was my Facebook status a long time when I was deeply in love. It was not phrased like this I am sure, but I will try & reproduce the summary. Sometimes you are so deeply involve in work that you start working like a robot. No emotions, no sentiments, just work. Sometimes just then, a person walks into your life & reminds you of your human-ness. I think it was better being a robot. Now I am not sure if it is better beig a robot or the sentimental human. Wasn't sure even then, I think. Philosophy & Innovation : Cognitive Thinking, the common link? Is there a relation? I think so. In my opinion it is quite similar to evolution. Both have their roots in the same ground, just the context or the environment in different. Sometimes even the environment is similar. IMO, both innovation & philosophy involve thinking. Thinking at a deeper level than usual. (technically you are 'thinking' when your brain 'commands' your hand to pick up the spoon & feed you, but I am referring to thinking in its more complex usage). When I 'innovate', the process involved thinking, I need to find a scope, a need, a method to fulfill that need & then think how to implement it & implement it. Philosophy is not much different. When I am musing about life, the purpose of life and such other rudimentary concepts, I am often trying to find a need, for life, a way to explain what is happening & why is it happening & apply it to life. So is it just that they are 2 different types of thinkings? Maybe. Yet to figure it out. This was my answer to a question about the relation between innovation & philosophy. Arrange the digits in ascending and then in descending order to get two four-digit numbers, adding leading zeros if necessary. Subtract the smaller number from the bigger number. 8532 – 2358 = 6174. 495 is the three digit equivalent. And I am actually blogging about it! Facebook has launched the official Verified Pages & Profiles on Facebook. For famous public figures & pages, (eg. Sachin Tendulkar, Selena Gomez, ToI) you will see a blue tick mark next to the name, on their official Facebook pages. It means that the pages have been verified by Facebook as official. I am not sure how they verify, maybe they just call up, hey Sachin is http://www.facebook.com/SachinTendulkar your official page? So I what woke up & here is what Kruti sent me. You know how people buy drinks for girls in bars? Why can't people do that in bookstores? Like if I am looking at a novel in Barnes & Noble and some person walks up to me and strikes up a conversation and offers to buy the book for me there is a lot better chance of that working out in their favor. There is a background music in life. Here is what you need to do to listen to it. 1. Go to a garden or a park. 2. Find an isolated space in the park, close to a tree preferably. 3. Sit down & stop thinking. 4. Yes, stop thinking about work, about your girlfriend or boyfriend or spouse. 5. Take out that iphone or ipod ear plug. 7. Be at peace with yourself. 8. Listen to the birds chirping, the air rustling the leaves of the tree, observe the ants working, the squirrels running around. That is the music of life. Actually this post could have two titles, The Problem with Destiny or as it has been named, Destiny as a concept. I just thought, I will write it in 2 parts, here is the first part. Edit : Third part, just thought of : Is death then destiny? Given : Destiny is defined as whatever is bound to happen will happen & whatever is happening was bound to happen. To prove : destiny cannot be disproved. Proof : Let us assume there exists a complex mathematical expression using which you are able to prove that destiny as a mathematical function does not exist. However from the very definition of destiny (as given above), it is right to comment that it was your destiny to prove that destiny does not exist. Hence, your proof for non-existence of destiny is invalid. Hence proved the problem with destiny by contradiction. This brings me to the next point, destiny as a concept. Destiny is so defined to encompass & explain everything yet inexplicable or unfathomable by the human mind. Which brings me to the third part, is death then destiny? Death is the inevitable, the paramount truth of life. That which has come (or been created) will be destroyed some day. Death is the paramount, static truth of life. Does this not lead to the concision that death is destiny? Destiny may be made in heavens, but you need to work hard in Life to achieve it. GoDaddy seems to have upset ICICI Bank or vice versa. For the past 3 or 4 months, all payments being made to godaddy using ICICI Bank credit cards or ICICI Bank debit cards are being rejected outright. The following error shows up on the GoDaddy screen. Immediately if I try another Bank's card, the payment goes through. I have tried several combinations & permutations to finally arrive at the result that something is wrong between GoDaddy (or it's payment gateway) & ICICI Bank. "There was a problem authorizing your credit. Please verify your payment information or use an alternate form of payment." So, I think it is reasonable to say the problem is not with the card(s) or the details, but ICICI Bank/GoDaddy. By the way, I have contacted GoDaddy Support & called them too, but no updates yet. Update : 9 September 2013, Godaddy seems to have reverted back to its US based merchant account & things are working with ICICI bank credit cards & debit cards, once again. Update : 14 September 2013, ICICI sent me an email, We would like to inform you that the Godaddy website is blocked owing to increase in the number of fraud transactions. 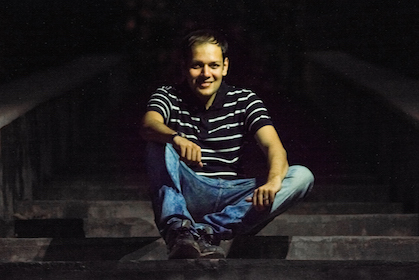 The Better India is a website dedicated to showcasing the Good in India. Whether it is their old post on Abdul Kareem, the one man who planted a forest or Swades or the latest post on the communal harmony in Kishtwar they are showcasing the best things about India to the world & more importantly, to us, the Indians, who seem to have forgotten the good around us. Here is a bio of the founders taken from their about section. I haven't yet met them, so cannot update further. But on a first glance, a good initiative worth a look! Pythagorean Cup or the GreedyCup, credited to Pythagorus of Samos, ancient Greece. This is a unique which looks mostly like a normal cup, with a raised tube in the middle. It works on the simple principle of air pressure & hydrostatic pressure. Above is a cross section view I the cup & it's functioning. Between step C & D, the pouring out of water creates a hydrostatic pressure which leads from C to D, instead of B. If you have any query, please post as a comment. She presents a different perspective or rather, maybe an analogy between science & religion wrt my last post, What if our understanding of the universe is like the three blind men & an elephant. I came across a slightly different version of The Blind Men and the Elephant while reading something about Jainism. Anekantavada, or multiplicity of perspectives. Similarly, one of Jainism's key principles is the multiplicity of viewpoints. No human can independently proclaim that s/he knows the absolute truth; everything is relative. Be it good or bad, ugly or beautiful, it is the perspective that matters. Today, something that seems correct to me might seem terribly wrong to you tomorrow. Who judges what the truth is? We don't know, we perhaps never will. Maybe the next time we think someone is doing something unlikable, we could put ourselves in their shoes and try to reason it out. PS: This is a little off-track from Sambhav bhaiyya's post, but the thought just came to my mind! 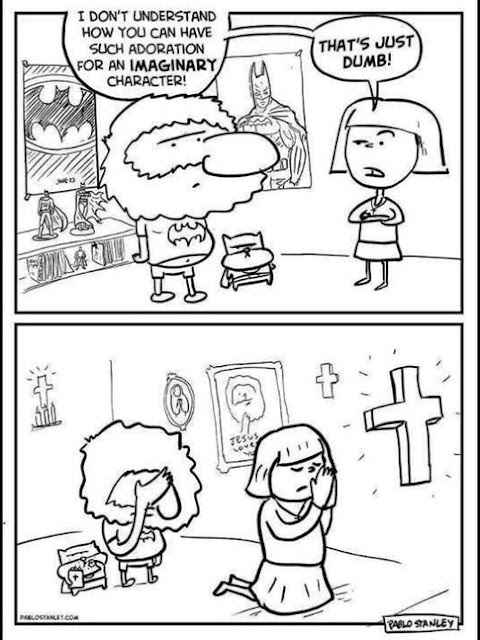 Yet another example of varied perspectives, eh? Today I happened to read an Article in Times of India - On Eid, Ahmedabad mall charges entry fee from Muslims - The Times of India. This is most pathetic Journalism from ToI. Yesterday, even I had gone to Himalaya Mall, and even I was charged 20 rupees. And no, I am not a Muslim. So the Headline is completely wrong factually and also misleading. Moreover the journalist should understand. That 20 rupee coupon was useable for anything you purchase. And if nothing, one could eat an ice-cream with that coupon. Also, this was totally a decision of Mall Administration. And I feel to a point it was correct on Mall administration part. Because when I was in the lift and the lift was full to its capacity, the lift man told the people to wait as it could not accommodate more people, but as soon as the door would close these people would push the lift button and run away, thus not letting the lift to operate. They were also banging the lift doors. So the decision to charge a token entry fee was to keep this kind of miscreants away. The Mall was not a very big one, and they did not have the capacity to handle a crowd of 30,000 people so they took this decision. But why does ToI have to sensationalize every news and make the Muslim community feel unwanted in this country ? Moreover, during summers, when I was in Bangalore, the security stopped 2 kids from entering Mantri Mall. Why? Because they looked poor, and the guard did not let them in, because he knew they would not buy anything. This was a really unfortunate incident. But does this make the Congress CM Siddaramaiah Anti-Poor? NO. But here, the reporter goes on to write that it was "discrimination for many Muslims in Narendra Modi's Gujarat". This is nothing but a cheap publicity stunt by ToI to incite communal conflict. 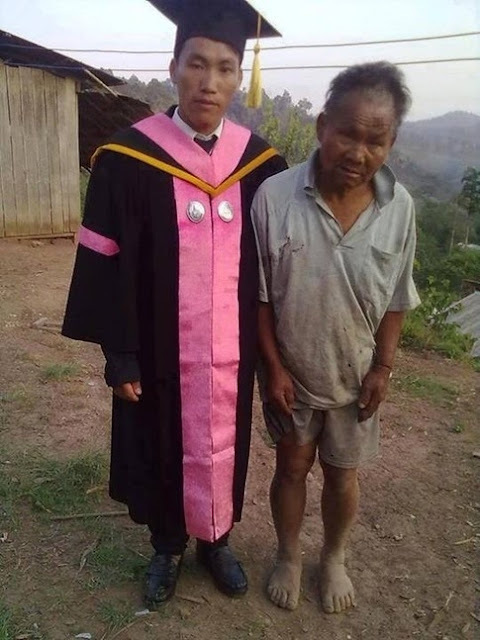 A poor farmer supports his son through college. Now the son is more proud of his father than anything else. Found this post on Quora. Even with the smile on his face, she was worried. No one had stopped to help for the last hour or so. Was he going to hurt her? He didn’t look safe; he looked poor and hungry. He could see that she was frightened, standing out there in the cold. He knew how she felt. It was those chills which only fear can put in you. There is an old saying “What goes around comes around." A well-known speaker started off his public speech in a strange manner – by holding up a Rupee 1000 Note !! Holding up the Note high in the air in one of his hands, he addressed the eagerly looking curious audience, "Who would like this Rupee 1000 Note?" With great cheers almost all of them raised their hands with the shout, "I want it", "I want it" !! He said, "Oh! that's nice. Well, I am going to give this Note to one of you... But, first let me do this." Then, he crumpled the Note in his hands vigorously & now showed the awkwardly wrinkled 1000 Rupee Note by holding up high in his hand. He then asked, "Who still wants it?" The same hands went up in the air this time too. "Well", he replied, "What if I do this?" and he dropped it on the ground and started to grind it into the floor with his shoe like a mad man. It seemed he is deriving great merriment in his unusual act. He picked it up, now all crumpled and dirty. It was so smudgy that no one could recognise it now as a 1000 Rupee Note. "Now who still wants it?" Strangly, now also, all the hands were up in the air with equal cheers & spirit.Now he addressed his audience with great feeling. "My friends," said he, "You have all learned a very valuable lesson today. No matter what I did to this valuable Rupee Note, all of you still wanted it because it did not decrease in value. It was still worth the same - Rs.1000/-.Many times in our lives, we are dropped, crumpled, and ground into the dirt of shame & insult by the decisions we make and the circumstances that come in our way. We feel as though we are worthless. But no matter what has happened or what will happen, you will never lose your value. In the eyes of God, you are the same "most precious jewel of His". "something HAS A VALUE ONLY IF ITS VALUE IS VALUED !" Ruzzle, an addictive word game for iPhone & android. The game is pretty simple (& addictive) you have 4x4 matrix of alphabets (some repetitive) & you have to make words out of it. Unlike most word games, Even 2-letter words are allowed in ruzzle. Each game is divided into 3 rounds. There are bonus-point letters, bonus length points, bonus word points & achievements to unlock. A very simple & intuitive interface with low bandwidth requirements make the game all the more addictive. The game is highly multiplayer & is so fast & simple that I think any multi-player game should take a cue or two from the ruzzle interface. The achievements do not work perfectly at times, but a good game overall. Oh, & yes, Kruti recommended this game too! There is a classic story of three blind men & an elephant. There were three blind men who encountered an elephant. They wanted to 'see' an elephant & decided to feel it up. One grabbed its trunk, another it's leg & a third one its tail. The first one exclaimed, an elephant is flexible, like a rope, thick on the top, thins down at the bottom. The second said, the elephant is like a pillar, sturdy. No chance of flexibility. Maybe some joints but not even close to a rope. The third one said, you are nth wrong, an elephant is like a snake, thin & flexible. & I cannot hold it still. It ends above the aur so maybe it is hanging from a tree! I hope it does not attack me. I think human understanding of the Universe at this stage is similar to those three blind men. We see one part of the universe & we think we have fathomed it. We have discovered gravity, electromagnetism, quantum mechanics & how they work. We think we know how the atoms work, how chemistry works. We think we know how atoms are but we have never 'seen' one. We think we know how atoms are made & even how galaxies are made. Each of those maybe correct in their own rights, but I think we are still away from truly understanding the Universe. We still do not know how to save the Earth, the only planet till date where we can survive & how to save ourselves from ourselves. I am wishing my friends, happy Friendship! instead of happy friendship day! Because it is the friendship the needs to be celebrated, not the day! No, this is not a scientific answer, this is a hypothesis based on experience. I think our brain has a special cell (rather a unit of ) Nakalchi Bandar. These are mimicry cells. They may have evolved as a part of our learning process. How to learn, how to eat, how to hunt, how to light a fire etc. most learning is mimicry. The same cells could be responsive for the yawn chain => you look at someone yawning & you start to yawn & the chain continues. I want to be at peace with myself. There is a certain joy of oneself that comes only in solitude, in absence of most thoughts, in the absence of others' changing opinions, thoughts, talks & presence. I have often felt it as a field. I have a field around me, so does everyone else, the fields interact when people come close. In the absence of others, there is no interaction of my field with others. There is no clash, no boundaries merged. At such times thoughts clear up, the heart beat slows down, breaths lengthen & the mind & body relax. In this absence of thoughts, I feel focused. Earlier I used to feel empty, lost , in the this very state. But now I feel focused. Now I know I must visit Akshar school this Tuesday. It is lost as soon as the thought of Alshar school has come. Now I am thinking why have I not gone there on the last 2 Tuesdays. This peace is a temporary state. In the presence of others it is difficult to achieve. I need to be peaceful with myself, all the time. I must work on it. A lot of Indians will understand this post right away. I would like to thank Bulbul Tunkalia & Kruti Munot for suggesting this wonderful heart-touching story to me. It is a beautiful story about what a dying man can teach the living, healthy ones about truly living. It is a story of love, compassion, heart-wrenching suffering, but most importantly living & embracing the present. Professor Morrie reminds me of Mehra Uncle & my Nanasa, two vividly different & wise people who live on in me through their teachings. Professor Morrie talks about 2 very important things, embracing life & loving people. It is a wonderful story that brings you closer to your family & loved ones, that tells you there is only so much time we all have in Life, spend it lovingly with your loved ones, with people you love & people who live you. I cannot put it better than Professor Morrie right now, so go ahead & read the book. Listen to your loved ones, talk to them, while you can. Saying good words about them when they are no more is not as good as saying the same good words (in present tense rather than past tense) to them in person. Pale Blue Dot, again a book recommended by Kruti Munot, my little sister. It is a must read for religious fanatics, selfish people & excessively egoistic people. It tells you how minuscule you are, how this planet is a tiny speck of sand, how we, the mighty intelligent Human Civilization know next to nothing about this infinitely large mega Universe. 'why don't we all sit down & drink Tea (or coffee)' or juice for that matter, I add. But relax, it is just life. Why do we need so many weapons & nuclear weapons? What for? If we use them, any of us, ultimately all of us will be dead. More of us will be dead, anyway. & what will the firing one get? Smug satisfaction that a kid has. You can get that satisfaction by writing a story, playing badminton (or other sports) or so many other things? Where is the need to fight? Why the desire to fight & kill? Oh, & read Tuesdays with Morrie while you are at it. Good read.